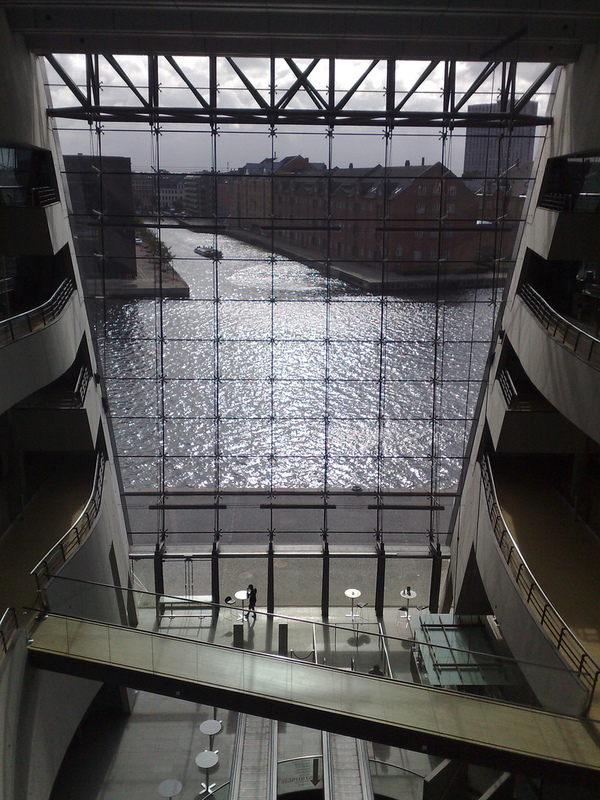 The Royal Library in Copenhagen is a stunning example of bibliotecture: overlooking the inner-harbour, the “black diamond,” as it’s called, has a sweeping atrium surrounded by wavy balconies that you reach by taking a gently sloping moving sidewalk from the first floor. While the space is huge, it’s somehow not overwhelming – it’s the kind of space I could image spending a lot of time in quite comfortably. One may think that sound and reading rooms do not directly harmonize, and that students and scholars can be disturbed in their work. 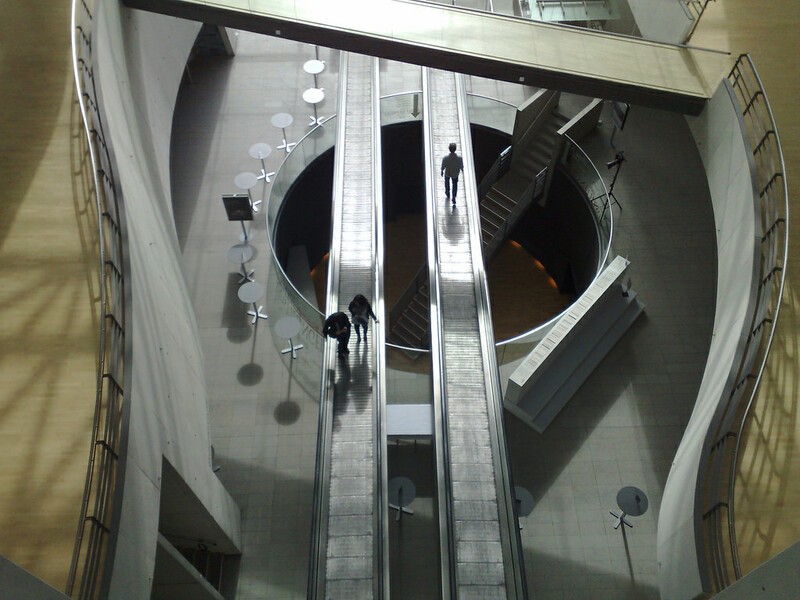 The library is already filled with real life sounds from the rolling travelators, general speech and activities at the A-level around The Queen’s Hall, in the Restaurant søren k, the café Øieblikket and the bookshop. At 1 p.m. you have the possibility to look up from your books, stretch your legs and — for three minutes, no more no less — enjoy that the huge space is filled with music. Music which is experienced differently according to where you stand or move around. 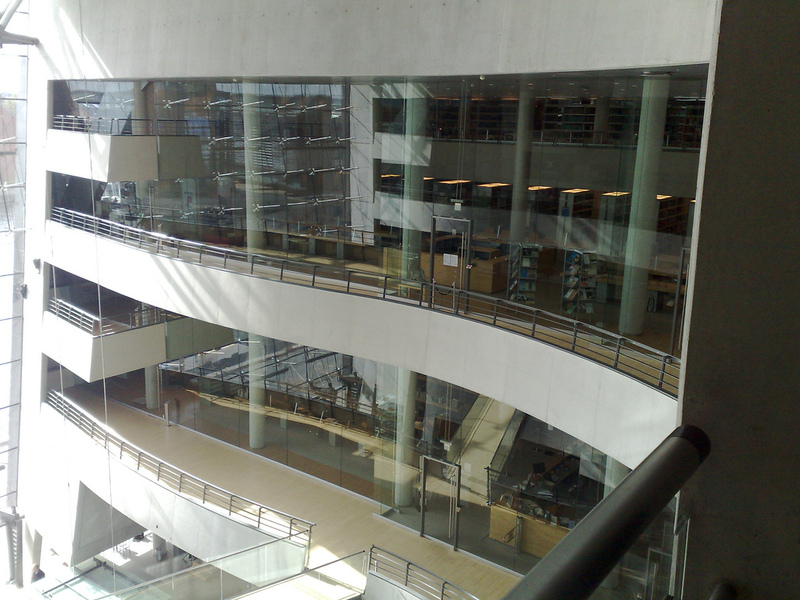 In my talk last week I used The Royal Library as an example of a library space that typifies the “capabilities” systems design paradigm: the daily musical interlude is very much a part of this. You can order a CD of 20 of the 52 parts of Katalog from The Royal Library; more information on ordering from this page on the library website. Written October 7, 2009 at 10:26 a.m.